Saving money on your power bill doesn't necessarily take expensive gadgets or lifestyle changes. Sometimes a simple design change can make all the difference. Energy efficient design is design that holds the intention of reducing energy consumption. This entry was posted in Uncategorized on August 2, 2018 by Jim. 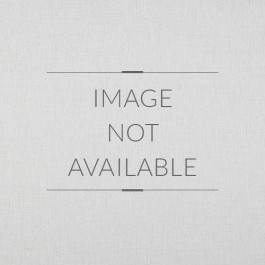 Do You Agree With This 'Worst Design Trends Of All Time' List? A recent survey by Samsung was released ranking the worst design trends of the past 50 years. Do you agree? 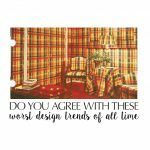 What are some of the worst design trends you have seen? This entry was posted in Uncategorized on July 26, 2018 by Jim. Want A Truly Unique Kitchen? Consider Wallpaper! Most people think about tile when finishing a kitchen, which is fine if you want to follow the crowd. 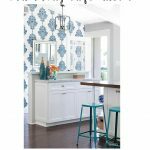 However, if you are looking for a truly unique kitchen, there is a medium most don't consider: wallpaper! This entry was posted in Uncategorized on July 19, 2018 by Jim. 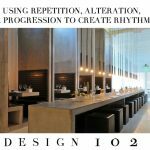 In Design 101, we explained how rhythm helps create movement and connects rooms in your home even if they have different design themes. 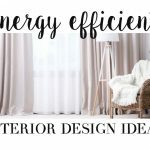 Now, we want to go a little further and show a variety of different methods for helping your home have a homologous feel. Rhythm is best described as pattern in movement. This entry was posted in Uncategorized on July 12, 2018 by Jim. 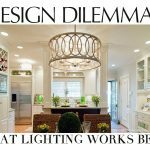 Design Dilemmas: What Lighting Works Best? Good lighting might be one of the bigger elements that is overlooked in the home decorating process. While natural light is important, there are other ways to create a glow in your home. This entry was posted in Uncategorized on July 5, 2018 by Jim. 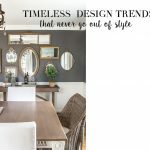 While popular design trends change by the season, there are some that never go out of style. If you're looking to change things up with a timeless look, consider the following. This entry was posted in Uncategorized on June 28, 2018 by Jim. In Design 101, we explained the importance of balancing positive and negative space. 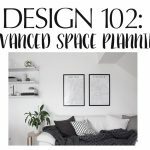 Now, we would like to get a little deeper by first considering the function of a space to create an efficient design scheme. This entry was posted in Uncategorized on June 21, 2018 by Jim. 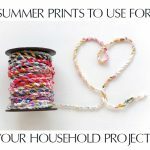 If you're looking at leftover fabric scraps from spring projects, as well as some extra time during the summer, check out these ideas for putting those pieces to use! This entry was posted in Uncategorized on May 31, 2018 by Jim. Now that spring is finally here and summer is fast approaching, why not take some steps to brighten up your home? 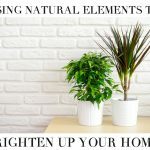 Instead of using harsh artificial light, filter in some natural elements to light up your house and boost your mood! This entry was posted in Uncategorized on May 24, 2018 by Jim. Your entry room is the first impression people get when they walk into your home. You'll want it to be welcoming, inviting, and a reflection of you and the rest of your home. 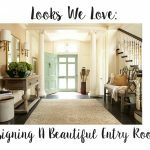 If you're looking for an entry room upgrade, keep these tips in mind! This entry was posted in Uncategorized on May 17, 2018 by Jim.